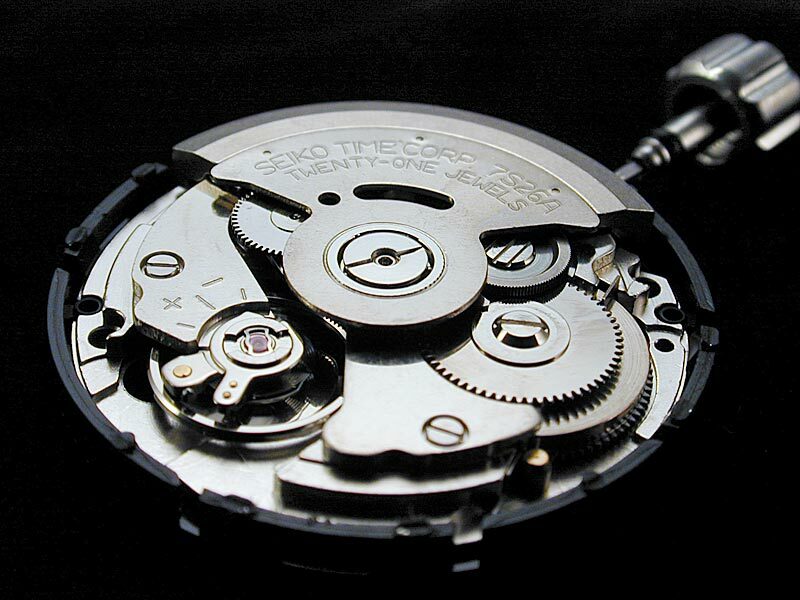 Seiko is a well-known Japanese watchmaker founded in 1881 in Tokyo. It first started producing clocks in 1892 and watches in 1924. 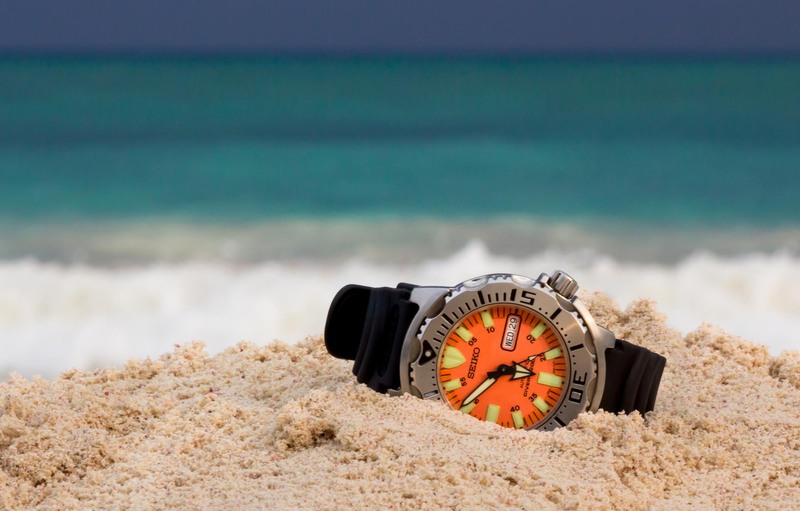 Very known for their dive watches, the Seiko SKX175 is a beauty. Seiko is a favorite manufacture among collectors. The beautiful thing about Seiko is that Seiko has something for every interest and budget. 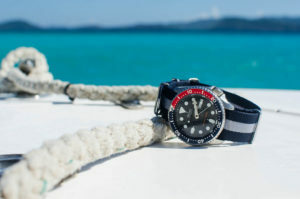 Over the years, Seiko has produced thousands of reliable models, most of which are very affordable. This makes Seiko very popular and wanted by collectors. Especially due to the fact that having multiple Seiko watches will not break the bank. 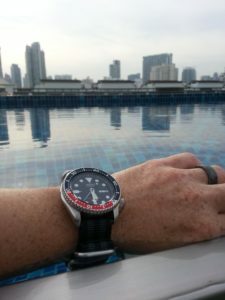 In this watch review, the Seiko SKX175 Stainless Steel Automatic Dive Watch will be covered. 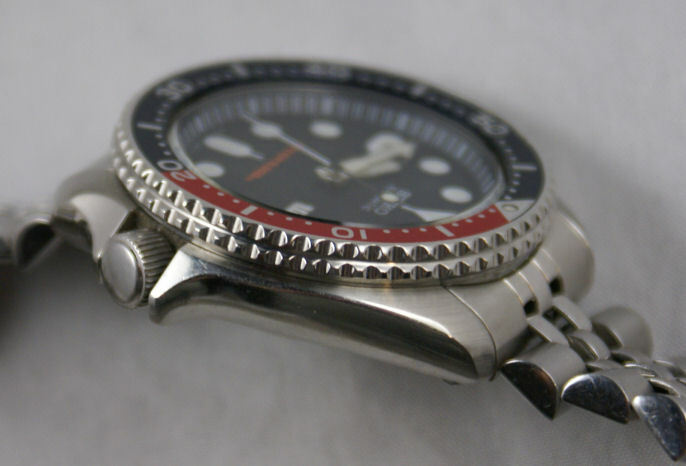 The Seiko SKX175’s case is made of stainless steel and is 42mm in diameter and 13mm thick. This means this watch is amedium to large-sized watch. The two-tone Pepsi-colored bezel of the watch is 120-click and lines up perfectly. A bezel that is 120-click basically means that the bezel needs 120 steps to make one full lap, an hour, or one click per half minute. I like that the watch has a 120 click, since it’s much more smooth and accurate compared to a 60-click bezel. Also, I really like the Pepsi colors. 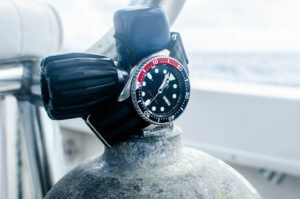 Not only is it handy to know when 20 minutes have passed when diving, the colors also give the watch character. The dial is colored in blue and has big, luminous hour markers, except at 3 o’clock. Instead of an hour marker, a calender can be seen in a day/date format. The hands and indices are also luminous. 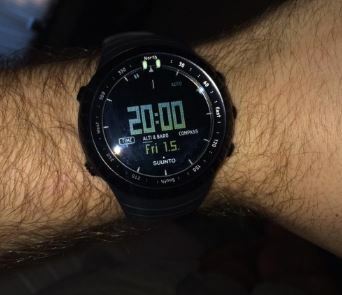 This watch also has a luminous second hand that indicates the seconds. 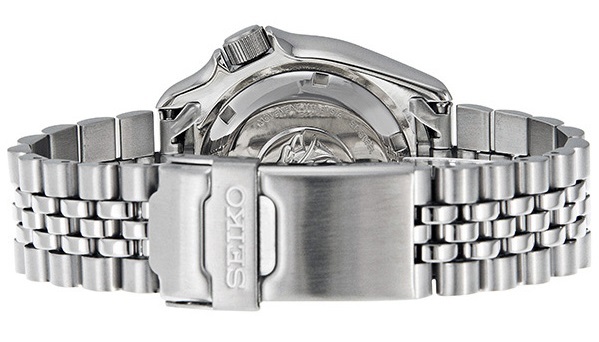 In a lot of watches, Seiko uses a crystal named “Hardlex”. One of the reasons why Seiko uses Hardlex is costs. A thick Sapphire crystal will cost you a fortune. Sapphire is highly scratch resistant, but it’s not scratchproof. On the other hand, Hardlex is very impact resistant, but less scratch resistant. Sapphire is harder, but more brittle than Hardlex. This means that sapphire will shatter when hit hard, while Hardlex will crack. On paper, Sapphire would probably win the battle. However, in the real world, Hardlex does not have any significant downgrades compared to a Sapphire crystal. Since Seiko is the main manufacturer of Hardlex, it is more than logical to use a Hardlex crystal. 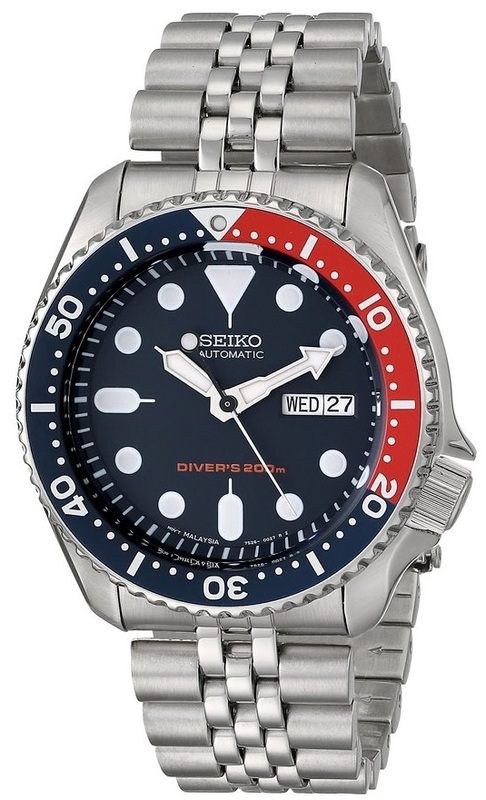 The Seiko SKX175 is powered by a Japanese Automatic, the 7S26, which is used for a lot of Seiko’s lower-end diver watches. It contains 21 jewels and is not manual windable. The 7S26 is very reliable, and capable of performance really well. Its ruggedness and reliability is well-known, and its design has been proven over decades in various forms. This automatic can be wound bidirectional and has a rate of 21,600 vibrations per hour, which is 3 Hz, or 6 ticks per second. 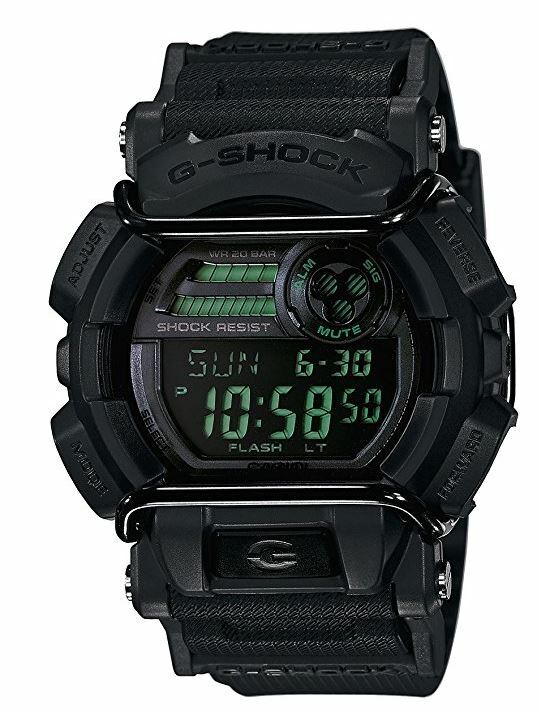 Its power reserve is approximately 40 hours and its accuracy is rated -20 to +40 seconds per day. I like this particular movement, because of its proven reliability and accuracy over the past 20 years. You really can’t go wrong with this one. The bracelet is made of stainless steel and has a nice finishing touch to it. Notice the difference in link size. It has solid links on the outside rows and metal loops on the inside. This design in bracelets is also known as “Jubilee”. A Jubilee can be a bit noisy, which can be an disadvantage for some people. I don’t mind it myself. It looks good, and it’s comfortable to wear. It is super easy to change out for a Nato Strap. 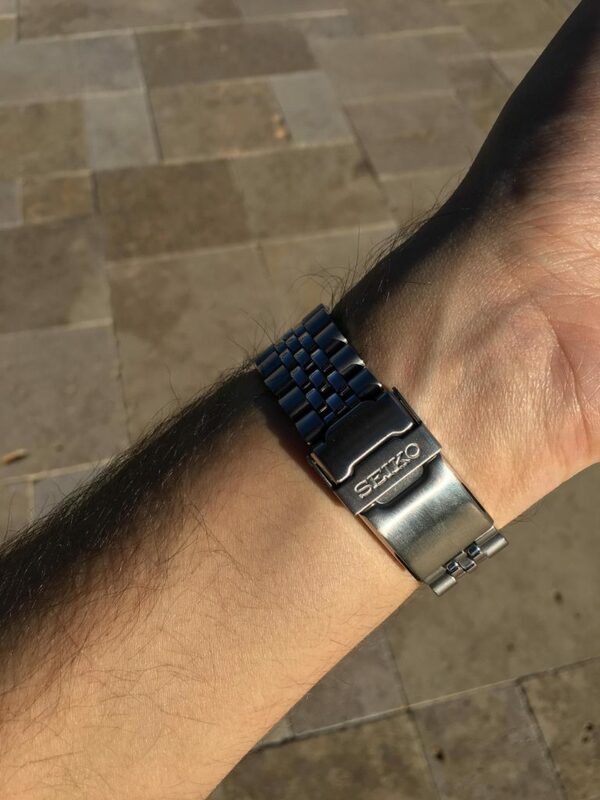 The clasp on this watch is a “Fold Over Clasp with Safety“. This type of clasp is very common and does its job well. 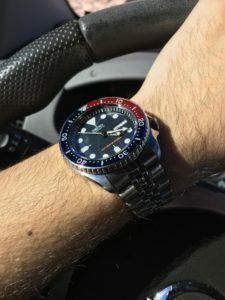 The Seiko SKX175 is a US specific watch. This means this watch is only sold within the US. 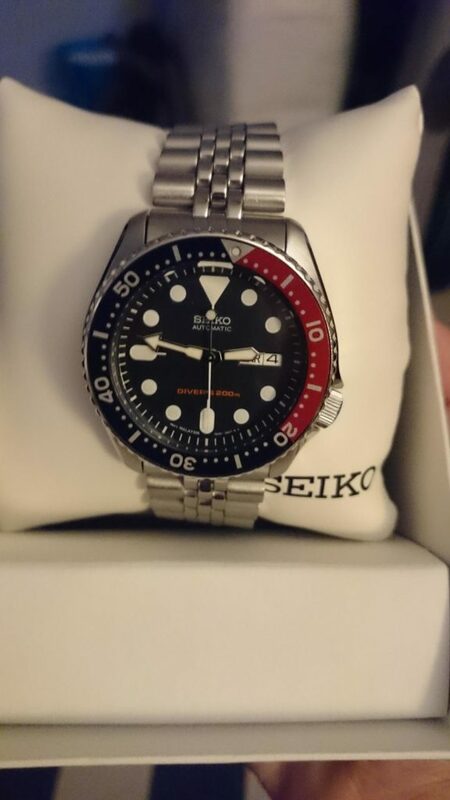 The non-US version goes by the name Seiko SKX009. Both these watches are variations of the original SKX007, which was seen in the movie All Is Lost, worn by Robert Redford. 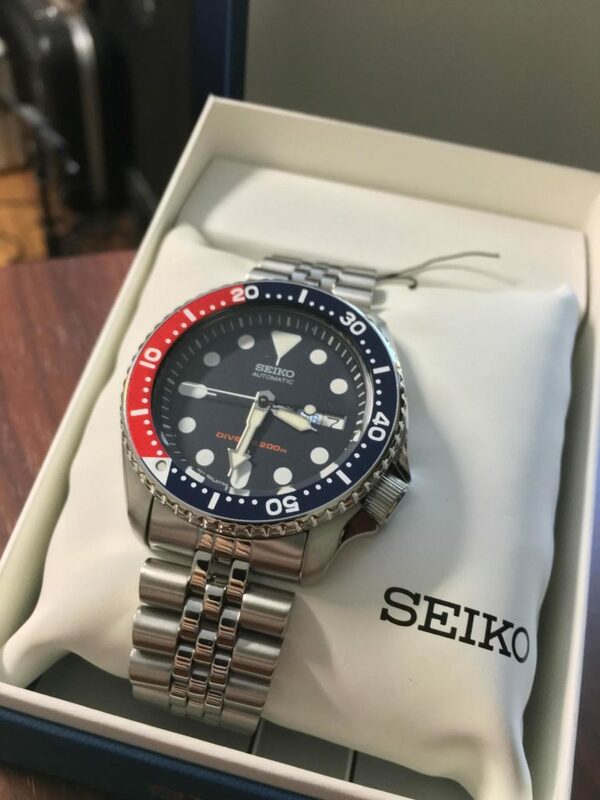 The Seiko SKX175 Stainless Steel Automatic Dive Watch looks stunning, is reliable and is loved by all the Seiko collectors. The watch has a 120-click bezel, a 7S26 automatic movement and a beautiful Jubilee bracelet. This watch is loved by me and the Seiko collectors. The best part of this watch is it comes with a 2-Year Warranty. It definitely is a bang for the buck.